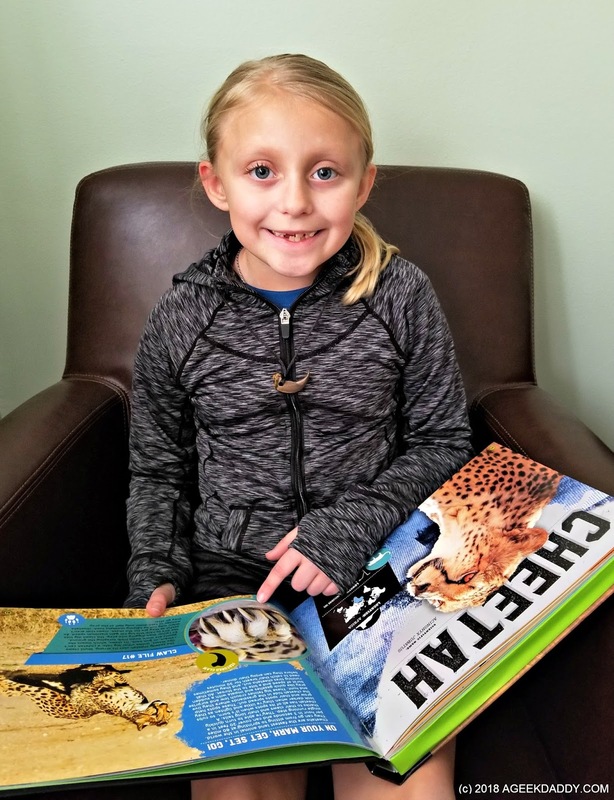 Do you know a child that is fascinated by animals? Then you should check out the Creature Files children's books by L.J. Tracosas. Kids can learn about prehistoric dinosaurs, mythical dragons, and present day predators through this captivating book series. 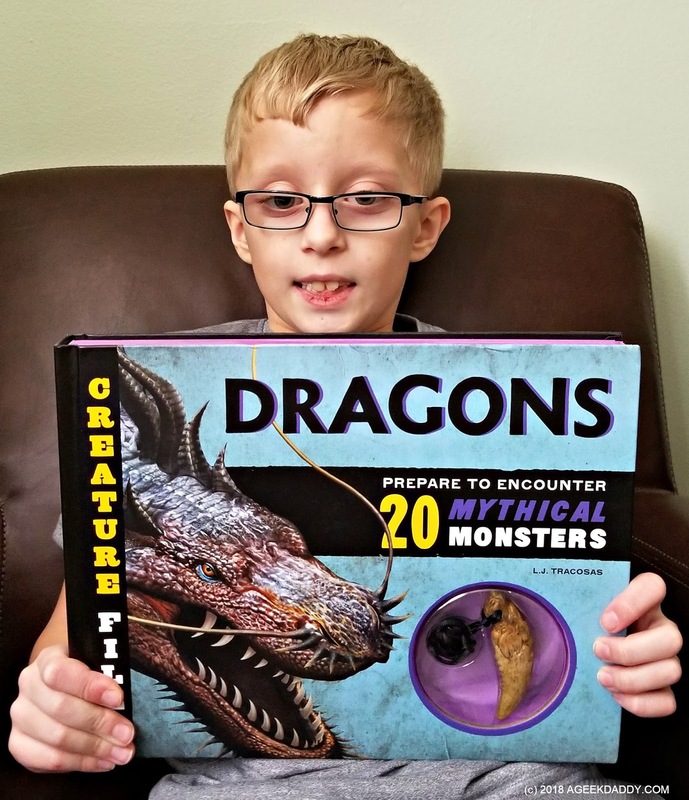 Quarto Knows sent us a couple of these books, Creature Files: Dragons & Creature Files: Predators, to look over and they've been a real hit with my nine year old twins. Both my son and daughter have been engrossed in reading them. Each of the books is 48 pages filled with interesting facts, impressive illustrations and wonderful photographs showcasing 20 creatures. Plus replica teeth and claws representing a creature(s) that can be strung on an included necklace come along with each book in the Creature Files series. My kids thought these were really neat! I give kudos to the author for incorporating this fun idea into her books. The author does a nice job of using these claw/teeth replicas to draw kids into learning while they read the books. Each creature profile has a special fact section related to the type of necklace included with a book. Dragons has a tooth to be hung upon the necklace so every creature profile includes a DRAGON BITE NOTE discussing different types of teeth and how they would benefit a creature. Predators included several different types of claws to hang on the necklace so each creature profile has a CLAW FILE that explains how animals' claws are unique and used by the creatures. Having a physical component that children can touch and feel provides a great way for them to associate with the content within the books. My children really got into looking through the pictures and illustrations in each book trying to match up the teeth and claws on their necklaces with the creatures they belonged to. As a parent, I appreciate how the author utilized these necklaces to get kids enthused about reading through the books. 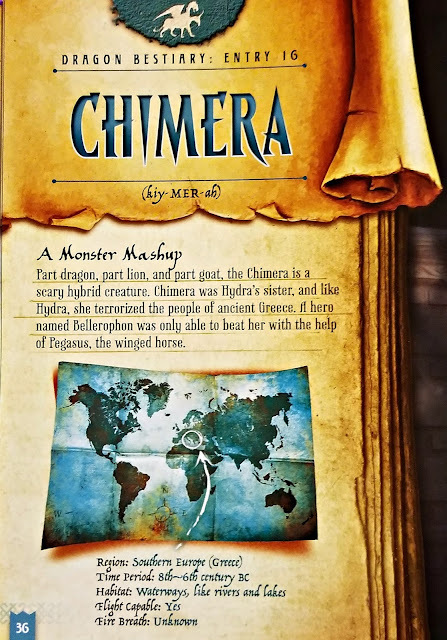 Ok maybe dragons are fictitious but this book delves into the real life cultures from places around the globe including Africa, China, Europe, India and South America that created these creatures. 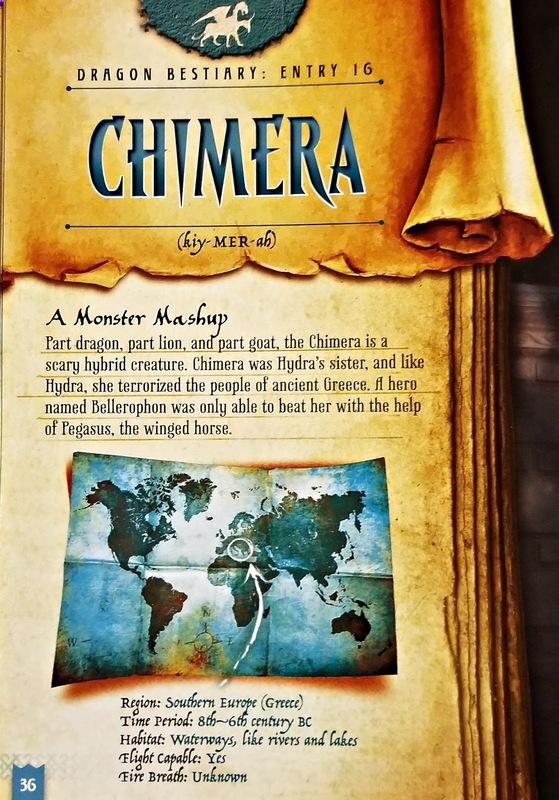 Each dragon profile includes information about the region that created the mythology and points the area out on a map as well as provides a description about the creature's appearance and behaviors taken from examples of local folklore. 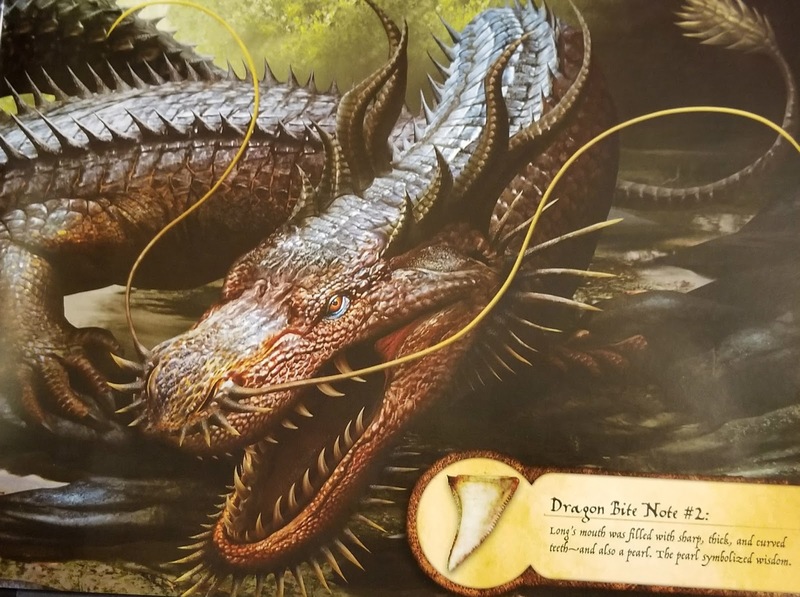 The book also has a section that describes real life creatures that may have inspired dragon myths and comes with a realistic looking dragon-tooth necklace. 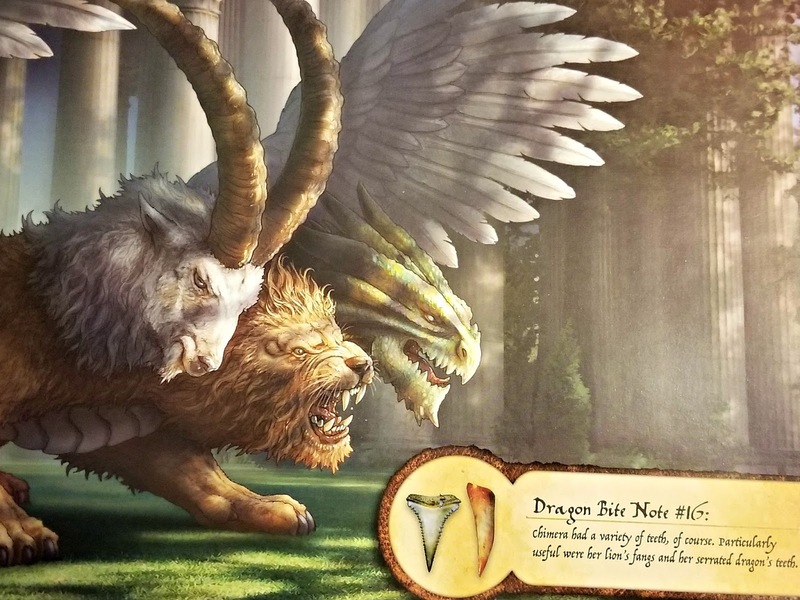 Additionally the dragon illustrations within the book are stunning! My kids have been flipping through the book over and over again just to check out the dragon images. I've even perused through the book a few times because it is full of some incredible artwork. Thumbs up for a job very well done! Learn about some of the most vicious predators on the planet ranging from alligators to wolverines. This book contains great stats about these creatures including their average height and weight along with a map in each profile that show where on the globe these featured animals live. Kids will learn that while a lot of big cats live in Africa you'll only find wild Tigers living in the Asian jungles of India, Bangladesh, Nepal and Bhutan. Plus the book comes with three realistic replica claws. 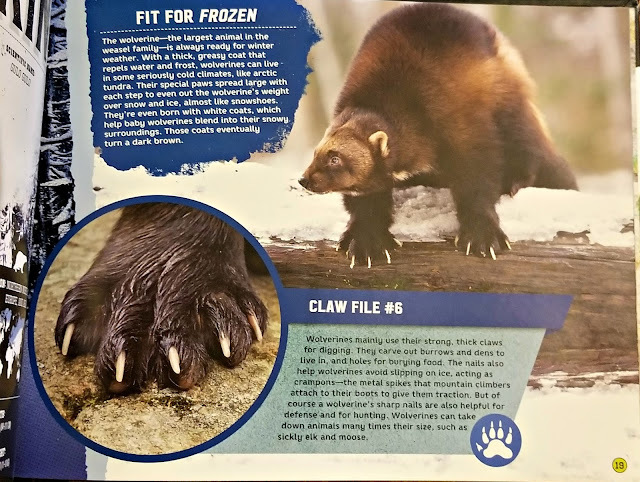 Have fun searching through the book to see if you can identify which creature each claw belongs to. Each profile also showcases some juice facts about the highlighted creature to chew on. Did you know that while Lions are called "the king of the jungle" they actually prefer living in grasslands? Komodo Dragons poison their prey through biting them allowing these lizards to hunt pigs, deer and water buffalo that may be much larger than them. Polar Bears are the largest land predators in the world ... I would have thought it was Grizzly Bears myself before my daughter shared this fact from the book with me. Lots of educational information packed in this book that is also very interesting for inquiring minds to learn about. The book is also filled with amazing photographs of the twenty creatures highlighted within it. 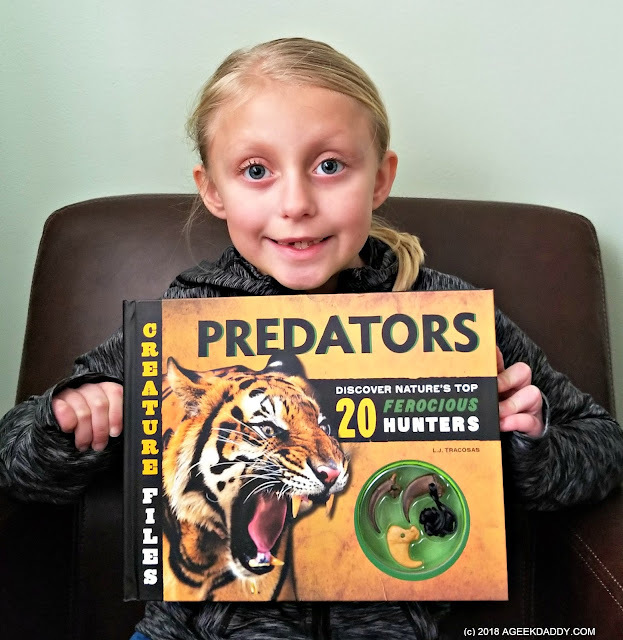 You won't want to get too near these animals if you ever encountered one in person but Creature Files: Predators provides excellent up close views of them. Both of my kids have been enjoying themselves flipping through these pictures. They were particularly impressed with the Fossa pictures which is an animal from Madagascar they'd never seen or heard of before. Always great to find out they've learned something brand new from reading a book! L.J. 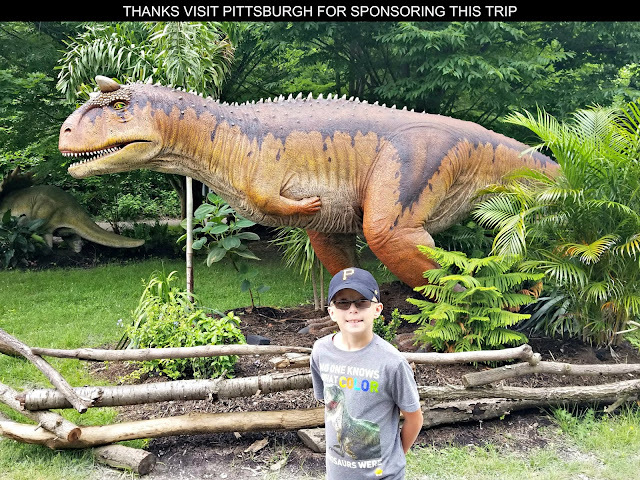 Tracosas' Creature Files books have earned A Geek Daddy nod of approval for providing an immersive educational experience that is also very entertaining for kids. Filled with informative facts, interesting physical props and top notch pictures these books have been a joy for our family to read. 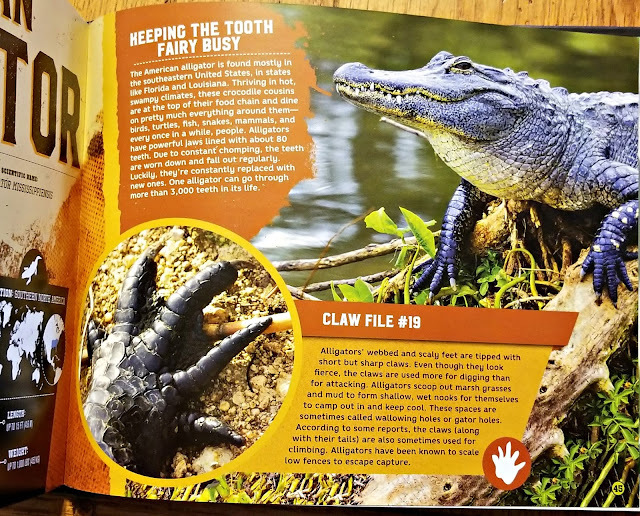 I especially appreciate how the remarkable photographs and illustrations in Creature Files, as well as the included necklaces, compliment the layout of the text so as to encourage kids to actually read the books instead of just looking at the pictures. My nine year old twins have been reading these books over and over again. Recommended for ages 8 and up by the publisher. Additional books also focus on dinosaurs, reptiles and sharks. In my opinion probably best suited for boys and girls between third and fifth grade based upon the book's reading level. A nice middle grade book. For more information about Creature Files and other great books for kids, please visit quartoknows.com. These books do sound incredible! My daughter loves her animals, so she'd be a fan of these. My kindergartners would love these books. Whenever we visit the library, they always love taking out books just like these. Looks like a great book for the kids! 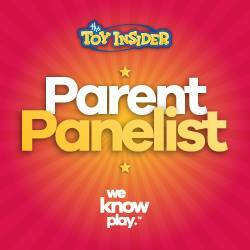 I love that it's packed with pictures and information that they'll have fun reading! Talk about a good book to get for children especially those who are interested in learning more about animals and dragons. It's pretty awesome! All children love to look at and as they get older read about different types of animals. Farm animals are big because we are from farm country. Dragons and wild animals are always popular. As kids we are always fascinated by animals. These books look so colourful and pack so much information. I am sure the kids will love these, also a great idea for a birthday gift. My kids love books like this. My son has a shark book that showcases all these facts about different kinds of sharks and how big each species is. Kids eat this stuff up. My daughter would love these. She loves animals of all shapes and sizes. These look like the perfect books to add to her collection. My daughter would love the dragons book. She has one like this about sea animals and she gets so into it. These sound like great books. My daughter loved dragons when she was younger. Learning more about the cultures they came from would have been right up her alley. Okay, so I was so going to ask you, aren't "dragons are fictitious?" You beat me to the punch. Aside from the dragon book these could be a purchase for my boys! My Kids would loves these kinds of books. I think my older daughter would love the dragon book. These books are great! I could get some of these books to give as gifts to my nephews and nieces for their upcoming birthdays. The photos and illustrations are awesome! These are the kind of books we always buy when my children school has book fair. It's very educational and you can really learn a lot of things. These books look so fun. I bet my kids would love to check out this books in person. They love story time. I do have one of my kids obsessed with animals right now. These sound perfect for him! My youngest would have a hayday with those amazing photos. She gets so enamored with them. I think my kids would love these books! I know they'd love learning a little about these creatures. I have an animal and creature obsessed 8 year old! Hew ould for sure love these. I will have to check them out for him!